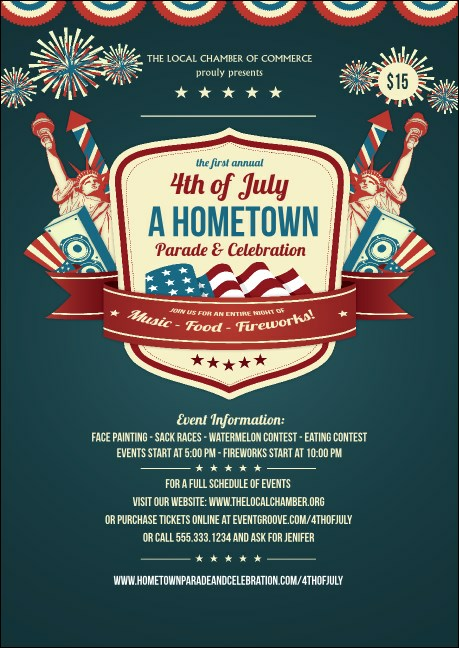 Advertise your holiday event with national pride when you send out personalized Fourth of July Freedom Blue Postcards in advance. These Postcard templates feature a rich, blue background and show the Statue of Liberty and Uncle Sam’s hat underneath exploding fireworks that shine in all the colors of the American flag. You’ll never be blue about event promotions at TicketPrinting.com!